Telangana has 59.48 lakh landholdings, as per the 2015-16 Agricultural Census. These farmers are already receiving Rs 8,000 per acre per year as agriculture investment support under the Telangana government’s Rythu Bandhu scheme. For lakhs of farmers in Telangana, the Pradhan Mantri Kisan Samman Nidhi (PM-Kisan), announced in the 2019-20 Interim Budget and assuring a payment of Rs 6,000 for every agricultural household having less than 2 hectares of cultivable land, is being seen as a double bonanza. Telangana has 59.48 lakh landholdings, as per the 2015-16 Agricultural Census. These farmers are already receiving Rs 8,000 per acre per year as agriculture investment support under the Telangana government’s Rythu Bandhu scheme. Since out of the total 59.48 lakh holdings, 52.49 lakh holdings or over 88 per cent are below 2 hectares (5 acres) size, the latter will also be eligible for the flat Rs 6,000 payment under PM-Kisan. The Rs 8,000 under Rythu Bandhu is paid in two installments — Rs 4,000 per acre each before the Rabi and Kharif cropping seasons. The Telangana government is giving cheques to farmers, which they can deposit in a bank of their choice. This is instead of making direct transfers, which banks might use to adjust the past dues owed by farmers. From the ensuing 2019 kharif season, for which payments would be made during April-May, the investment support is proposed to be increased to Rs 10,000 per acre. 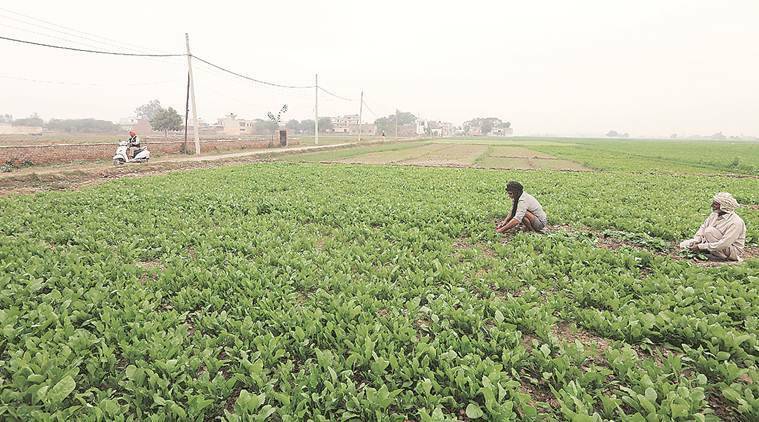 Rythu bandhu covers 1.42 crore acres in Telangana’s 31 districts, and every farmer — including those owning more than 2 hectares ( five acres) — is eligible to get the payment. Telangana Principal Secretary (Agriculture) C Parthasarathi said the state government will continue the Rythu Bandhu scheme. “The CM will take a call soon on whether to deduct the Rs 6,000 per household paid by the Centre under PM Kisan Samman Nidhi and pay the remaining amount under Rythu Bandhu scheme. But the Centre’s scheme is only for those owning 5 acres and less. There is some overlap… We will study the Centre’s scheme and take a call,’’ Parthasarathi said.